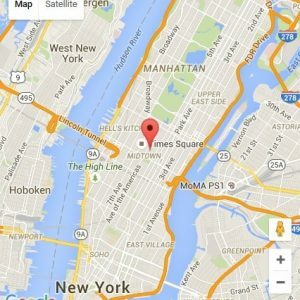 Hurt in an Accident in NYC? Michael Hurwitz Esq. and The Hurwitz Law Firm are the New York injury lawyers accident victims rely on following a personal injury emergency in Manhattan, Brooklyn, the Bronx, Queens or across the NY area. The acclaimed attorneys of The Hurwitz Law Firm represent catastrophically injured victims in State and Federal court. Our New York injury lawsuits demand maximum compensation for our clients. In addition, we require an end of any continuing harmful conduct. We always fight hard for the highest value settlement terms possible. NYC injury lawyers featured in the news. Our aggressive and professional approach to New York injury lawsuits has won us praise from community leaders. Moreover, headlines of major news organizations have reported on our high profile cases and remarkable results. Please follow this link to view featured media content. Hurt in an Accident? Contact our NYC injury lawyers today. If you are injured in an accident, consider whether someone else’s negligence is to blame. When another party is at fault, you may be legally entitled to money as compensation. Therefore, your case should be reviewed by experienced New York injury lawyers. When compensation payments are made to a victim, it is usually as part of a full settlement of the claim. The insurance company for the person or business responsible for your injury often makes the settlement payment. When this negligent party’s insurance carrier does cover the claim, a substantial settlement may be obtained. However, when fair settlement terms are elusive, our team of skilled NYC injury lawyers can take your case to trial in a court of law. The New York Observer covers our NYC accident lawyer’s Skyscraper Building Fire litigation. Car, truck, and bus accidents, medical malpractice, and serious fall cases each require individualized expertise. Please follow the below links from this page to view the full range of accident cases our firm handles. The circumstances of how accidents occur and cause injury contain hundreds of details. Therefore, a preliminary determination should be made as to who is at fault. Plaintiffs can investigate these suspicions through the discovery and litigation process. In some cases, multiple people share blame. However, in other cases nobody is to blame at all. Our experienced NYC injury lawyers have successfully handled diverse caseloads includes all of these scenarios. What are your Injuries? Let our NY injury lawyers review your case free. A catastrophic injury can result in a lifetime of pain & suffering, lost wages and medical bills. The value of these damages must be professionally calculated in order to be recoverable in court. The court does not rely upon unsubstantiated damages claims. Our NYC injury lawyers can obtain your medical records. Michael Hurwitz, Esq. is the New York injury lawyer that Brooklyn, Bronx, Queens & Manhattan accident victims turn to. Our attorneys and staff have years of experience with all of the most common accidents and injuries. However, we also have the necessary expertise to handle complex cases involving extensive medical records and novel legal issues. The depth of our practice enables us to accept a wide variety of personal injury cases. Please follow the links from this page to view the full range of injury cases our firm handles. If you have been hurt in an accident, take prompt action to protect your rights. Time sensitive deadlines apply to the filing of claims for compensation. Injuries can grow worse and more costly over time. However, the statute of limitations prevents late awards of compensation. Contact our New York, Brooklyn, Bronx, Queens injury lawyers for a free consultation today. Our New York accident lawyers will review your case details and provide an explanation your options and our best advice. However, we will not pressure you to take any particular course of action. Let us show you what makes us the personal injury attorneys New York accident victims trust. Our New York injury lawyers are pleased to offer our personal injury legal services in Manhattan, Brooklyn, Bronx, Queens and Staten Island, NYC. In addition, we represent injury victims in Long Island, Westchester and Upstate NY. With the depth and experience of the attorneys assigned to your case, our NYC injury lawyers provide full service legal representation to seriously injured negligence victims in routine and sophisticated personal injury matters. Speak with a New York injury lawsuits attorney today. Our construction site accident lawyers represent union and freelance contractors hurt at a job site. In addition, our NYC injury lawyers represent private citizens and pedestrians hurt while passing by a construction site or scaffolding. New York City has experienced booming construction and public works projects. Construction serves society by effectuating progress and development. However, when accidents happen at a construction site, injury victims should hire a New York injury lawyer and get the full compensation entitled under the law. Our workplace injury lawyers represent employees injured in workplace accidents, including contractors hurt at a job site. We also represented employees discriminated against by co-workers or underpaid by their employer. We can arrange a filing under the NY Worker Compensation law. Such filings must be initiated promptly following the accident and injury. Our New York injury lawyers invoke Federal employee protection laws on behalf of employees harassed or discriminated against due to race, ethnicity, gender or sexual orientation. Further, we apply Federal law on behalf of underpaid workers, which carries harsh statutory penalties for the employer. Such penalties can include cash payment to the employee and payment of legal fees incurred. Our trip / slip & fall lawyers investigate the conditions and causes of falls on the floor, pavement, job site, sports field and more. Our NYC, Brooklyn, Queens & Bronx injury lawyers also fight for patrons of a building with wet floors, or snow and ice on the sidewalk out front. In addition, we represent New Yorkers who have tripped over a construction site barrier or sidewalk grate and sustained a serious injury. Our medical malpractice personal injury expert division includes both attorneys as well as a network of physicians to review a patient’s medical history, diagnosis and attempted treatments. When medical services go bad, New York injury lawyers from our firm provide a legal analysis of whether your doctor departed from the medical standard of care. We are familiar with operating procedures of all the major New York City hospitals and medical centers. Our automobile accidents personal injury expertise includes assistance with the filing of certain automobile insurance paperwork and arranging out-patient treatment. In addition, our team of New York injury lawyers commence litigation to pursue financial compensation. If you were involved in a motor vehicle accident caused by the negligence of another person or company, let our Brooklyn, Bronx, Queens, New York injury lawyers provide a free review of any accident report and medical records. Our train accidents legal representation is offered to solo individuals injured on a train car, station platform or railroad crossing. Our New York injury lawyers are also prepared for fast legal action following a train derailment catastrophe. However, preservation of evidence promptly after a mass transit accident can be vital to establishing the cause of the accident and identifying the responsible parties. Our ferry & boat accident lawyers investigate maritime accidents and injuries sustained on NYC’s shoreline. New York’s busy waterways are populated by commuter ferry boats, international shipping vessels, and government patrols. However, each watercraft has its own designated lanes and rules of operations. If you have been hurt on the Hudson River, East River or in New York Harbor, call our ferry & boat injury attorneys for a free legal consultation. Our aviation accident lawyers file compensation claims on behalf of injured New York travelers, business people and tourists. If you have been at JFK Airport, LaGuardia Airport, or in the sky above, call our aviation accident attorneys for a free case evaluation today. Our tourism accident lawyers represent visitors and travelers throughout the New York City region and beyond. We handle hotel room accidents, public space accidents, and tour bus accidents. In addition, we represent injured visitors living across the United States and around the World. The many sites, sounds, and distractions can throw a tourist off guard, resulting in a preventable accident and serious injury. Our team of NYC injury lawyers will fight in support of public safety and victims of tourist site accidents. Our product defect lawyers represent New Yorkers injured by defective consumer products, as well as industrial grade machinery. If you have been hurt by a malfunctioning product, contact our personal injury lawyers to review your claim. In many instances, other people may have sustained similar injuries. In addition, by taking legal action you can help protect the public from these dangerous items. Our dog bite attorneys represent victims of vicious dogs on the prowl in New York City. These dogs may belong to a neighbor, or be a stray roaming the neighborhood. Dogs frequently bred to be violent and to attack humans include Dobermans, Pit Bulls and Rottweilers. Legal action can be taken by our New York injury lawyers to hold reckless owners responsible. Our false arrest & police brutality attorneys represent New Yorkers detained by security guards or arrested by the NYPD without cause. We have handled high profile litigation against New York’s department store and hotel businesses. Call our Queens, Bronx & Brooklyn injury lawyers for a free case evaluation today. Contact our New York injury lawyers for a free case review. For a free consultation about an injury in Manhattan, Brooklyn, Bronx or Queens, call our New York Accident Lawyers today. If we can take your case, it will be on a contingency fee basis, which means that we only charge a legal fee if we obtain a recovery on your behalf. There is no up front charge to the client. Our NYC injury lawyers take action against the negligence or wrongful conduct of a third party. The personal injuries resulting from an accident may include physical bodily injury, psychological injury, and injury to your reputation. We represent clients with a wide variety of body injury claims. Call us to discuss your case with our personal injury lawyers today. Traumatic brain injury can result from a hard impact to the head, neck or spinal cord. Accordingly, medical professionals must take care during treatment to prevent improper movement or contact that could worsen a nervous system condition. Chest & respiratory injury can result from inhalation of toxic chemicals. In addition, Irritation to the lungs can lead to fluid build-up requiring invasive surgical procedures. Chest, shoulder and collar bone injuries are frequently sustained in falls, and even from seat-belt grip in an automobile accident. Let our NYC, Brooklyn, Queens & Bronx injury lawyers review your xrays free of charge. Internal organ damage can result from toxins contained in unsafe pharmaceuticals, asbestos and other chemical products. In addition, internal organ damage frequently results from medical malpractice and misdiagnosis of conditions. Contact our New York injury lawyers today to discuss your long term care. Broken bones are body injuries frequently sustained in serious automobile accidents and fall cases. Victims with weak bone conditions are more susceptible to broken or fractured bones. Treatment usually involves several months of wearing a cast, and possible use of crutches or a wheel chair. Moreover, permanent injuries can include limitations on range of motion and the bone being prone to further breakage in the future. Muscle & joint injury result from strains sustained in falls and collisions, and is a bodily injury associated with sudden or unexpected movement of heavy objects. Other injuries sustained in an accident can result in nerve damage, which often impairs mobility. Wrongful death is the death of an individual which is attributable to the negligent, or wrongful, conduct of a third party. A claim for wrongful death can be filed by a surviving family member on behalf of the deceased. Accident fatality claims require the skill of an experienced and compassionate personal injury attorney. Call our NYC injury lawyers to learn more about a claim for negligent loss of life. When stress and mental anguish result from the wrongful conduct of another person or company, a claim for emotional distress may be filed in court. In order to prove the psychological condition and its cause, an injury victim should have any emotional distress well documented by a doctor. However, our law firm typically only handles emotional distress claims accompanied by a bodily injury. Is a serious bodily injury keeping you off your feet? Our New York injury lawyers can come meet you at your home or medical care facility in Manhattan, Brooklyn, Bronx, Queens and beyond. Contact our New York injury lawyers for a free case evaluation. Abogado De Lesiones en Nueva York – Herido en un accidente? New York Airport Escalator Injury Lawyers – Hurt Riding Up or Down? Do Your Extension Cords Pose a Fire Risk? New York Pulmonary Embolism Lawyers – Blood Clot Misdiagnosis? Slipped and fell down or tripped on hazardous condition? Staircase falls, Sidewalk Falls, Snow & Ice, Ladder Falls & more. Hurt on the job? Workers Compensation & Third Party Claim lawsuits. Construction accident claims for heavy equipment injury, scaffold accidents, trench collapse & more. Sick or injured by medical malpractice? Failure to diagnose, Failure to treat, Dental Malpractice, Childbirth Injury, Cancer lawsuits & more. Motor vehicle accident lawsuits. Car accidents, Truck accidents, Bus accidents, Bridge & Tunnel accidents. File an insurance claim within 30 days of an accident to preserve your rights. Train accident lawsuits for bodily injury compensation. NYC Subway, Long Island Railroad, Metro-North, PATH Trains, Amtrak, Freight Trains, Train Station Injury & more. Accidents on New York's waterways may be governed by the Jones Act or other maritime law. Hurt on the Staten Island Ferry? Sport boat, sail boat & jet ski injury claims. Airplane accidents, Airport Injury, Helicopter accidents, Drone Accidents, JFK Airport, LaGuardia Airport & more. Dog bite compensation claims against dog owner, property owner &/or management company. Bitten by Doberman Pinscher, Pit Bull, Rottweiler, German Shepherd or other dog or animal? Design Defect, Manufacturing Defect, Failure to Warn, Breach of Warranty, Class Action Claims & more. Hotel accidents, travel accidents, tourist site injury lawsuits. Hurt at a museum, theater or stadium? Arrested or detained without cause? Assaulted by a police officer or security guard? Organ damage, organ laceration, punctured organ, all internal injury claims. Broken arm or hand? Fractured foot or leg? Surgery to reset bone or implant screws? Broken hip or knee? Dislocated shoulder or torn rotator cuff? Torn meniscus, all orthopedic injury claims. Pulled muscle, Stretched muscle, Strained muscle, Torn tendon, Pinched nerve, Herniated disc & more. Accidental death compensation lawsuits. Will probate & Estate cases. Workers compensation benefits & Insurance claims.